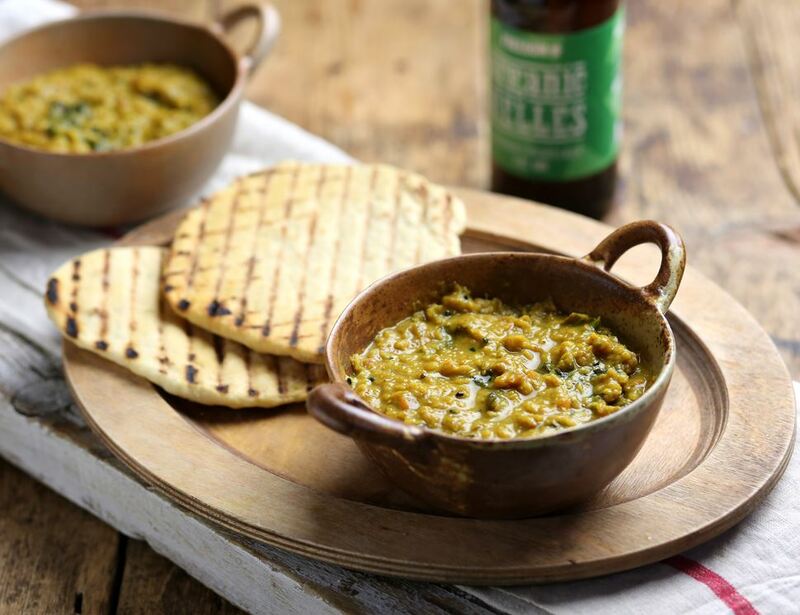 This organic sweet potato dhal hits the sweet spot. Gently spiced, with a warming blend of pulses and fresh veg, this delicious dahl is made in small batches on the Daylesford farm. Finish it off with a dollop of kefir and crispy onions. Water, Red Lentils* (11%), Coconut Milk*, Red Onion*, Sweet Potato*, Tomato* (6%), Kale, Olive Oil*, Vegetable Bouillon* (Rice flour*, Sea salt, Maltodextrin*, Vegetables* (onion*, carrot*, parsnip*, pumpkin*), Yeast extract, Sunflower oil*, Turmeric*, Mushrooms* (white mushroom*, shiitake*), Parsley*, Concentrated vegetable juice* (onion*, carrot*), Lovage*, Garlic*, Fennel Seed*), Ginger Puree*, Buckwheat* (0.9%), Teff* (0.9%), Coconut Palm Sugar*, Red Chilli*, Curry Powder* (0.5%) (Cumin*, Coriander Seed*, Onion*, Turmeric*, Garlic*, Fenugreek*, Ginger*, Yellow Mustard*, Black Pepper*, Chilli*, Cinnamon*, Cardamom*, Cloves*), Lemon Juice*, Turmeric Powder*, Fennel Seeds*, Nigella Seeds*, Sea salt, Ground Black Pepper*. Keep refrigerated. Once opened use within 24 hours.Heat for ten minutes in a saucepan over a medium heat, stirring occasionally – don’t let it boil. Alternatively place in a microwavable bowl and cover. Heat on full power for 3 minutes, stir and heat for a further 3 minutes until piping hot throughout. Suitable for freezing.